The ABC has announced that Tom Ballard’s show Tonightly will come to an end in September and a “fresh approach” is needed. Tonightly began last December and has broadcast Monday to Thursday on the ABC’s Comedy channel, the Wednesday edition also airs on the broadcasters main channel. Earlier this year comedian Dan Illic took over as the show’s Executive Producer. “Tonightly deliberately pushed boundaries to inform and entertain. We are proud of the program and its role in supporting some of Australia’s best emerging comedy talent. Our thanks go to the very talented team members for their hard work and dedication in producing a complex and cracking show in quick time, over some 150 episodes,” the ABC announced. “We look forward to working with them again in the future. A special thanks to Tom for helping us to laugh, cry and sigh about the world. Ballard said he was proud of the work he’d done on the show, and thanked the fans of the Australian Conservatives. “I feel so proud of the ‘work’ we made and I feel so lucky to have been surrounded by laughter and stupidity for an entire year. My sincere thanks go to the brilliant Tonightly team, the ABC and the fans of Cory Bernardi,” Ballard said. The show was cleared last week by the broadcasting watchdog following a controversial segment which saw cast member Greg Larson use the word “c**t” six times, including in reference to a candidate for the Australian Conservatives in the Batman by-election. Last night in his opening monologue Ballard dropped ‘the c-bomb’ one more time when he noted that the Australian Communications and Media Authority’s report into the incident about them using the word six times, does itself use the word 55 times. 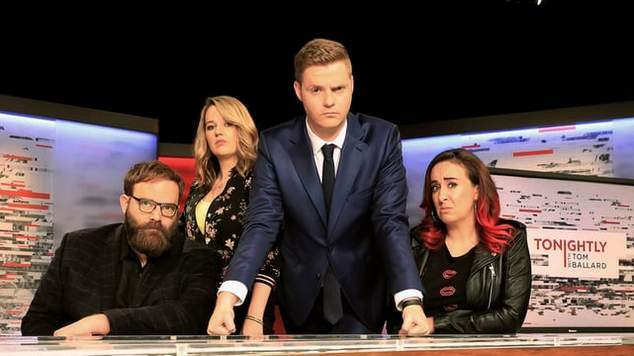 The show’s almost year long run also faced challenges when host Tom Ballard was accused in June of sexually inappropriate behaviour. Ballard strongly denied the allegation. The show took a daiuly swipe at the political and social discussions occuring in Australia, alongside interviews and spots from musicians and stand-up comedians. 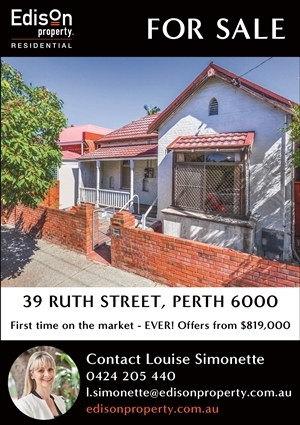 Check out some of their work below.